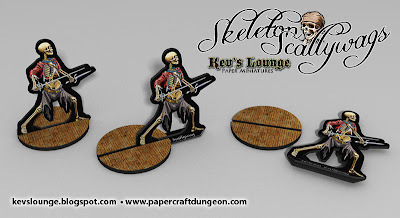 Skeleton Scallywags is the first paper minis release from Kev's Lounge. 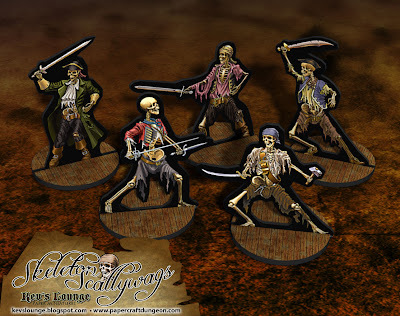 This set features detailed and beautiful high resolution artwork for fronts and backs and includes 5 unique figures with removable bases. OldSchoolDM's been kind enough to do some cut-files for this set. They can be found here.